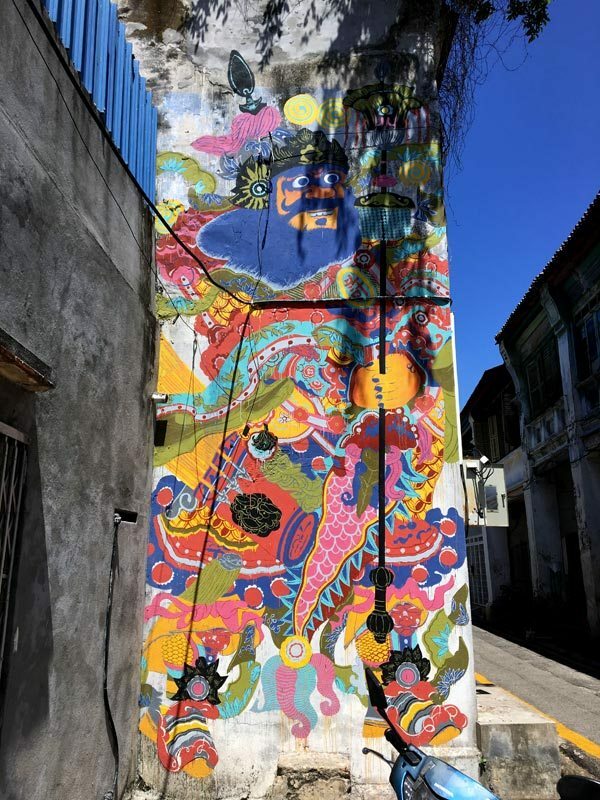 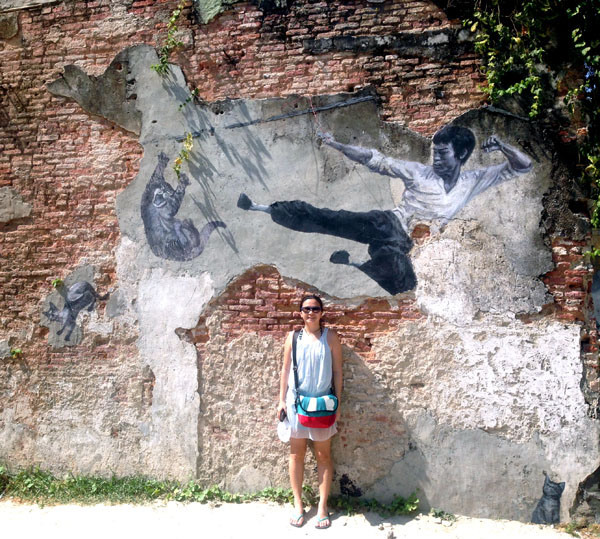 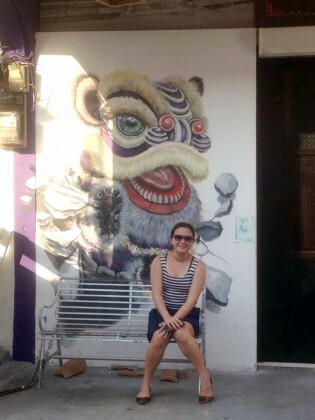 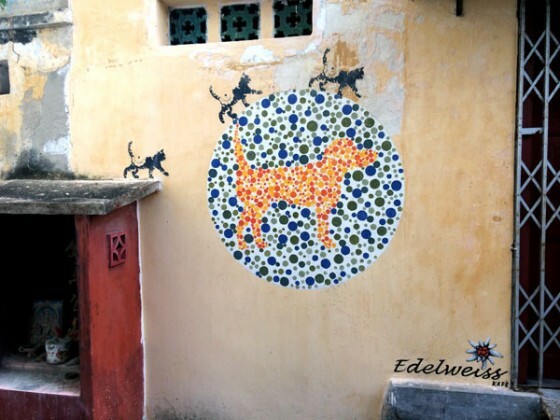 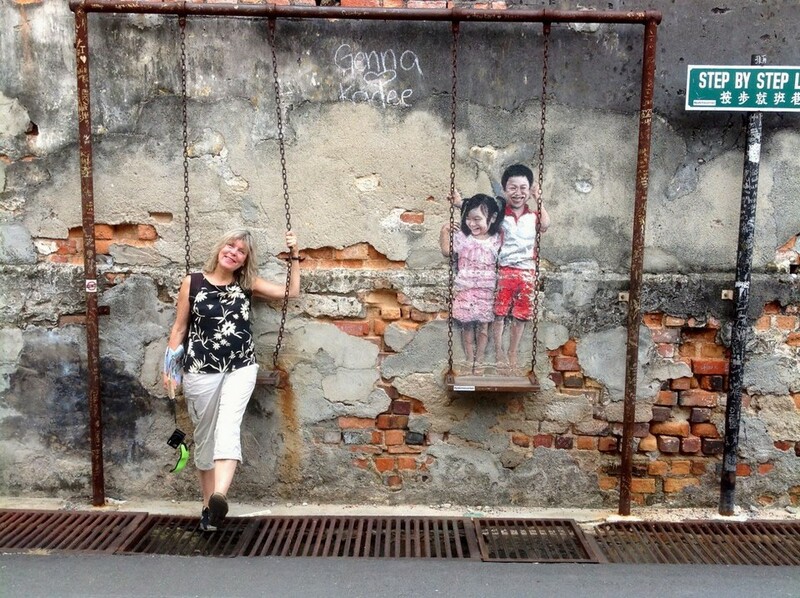 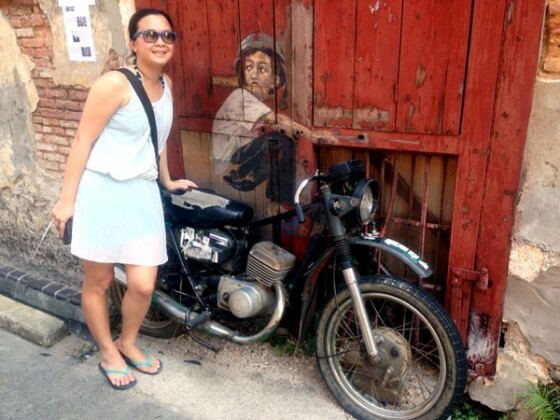 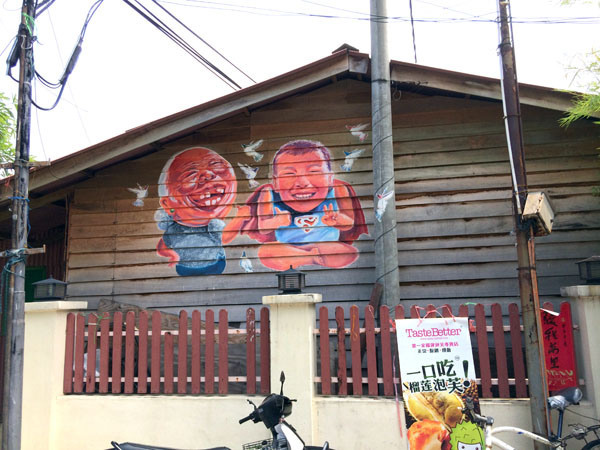 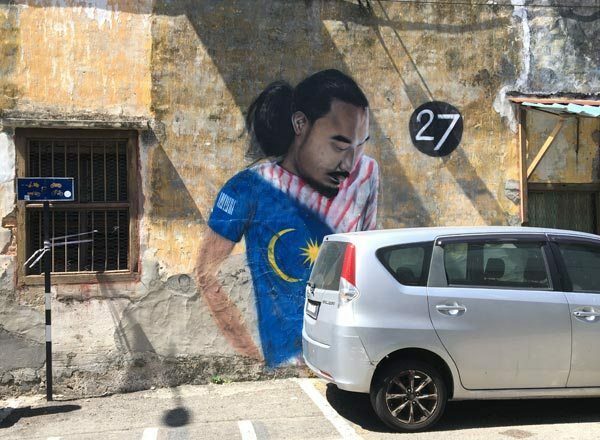 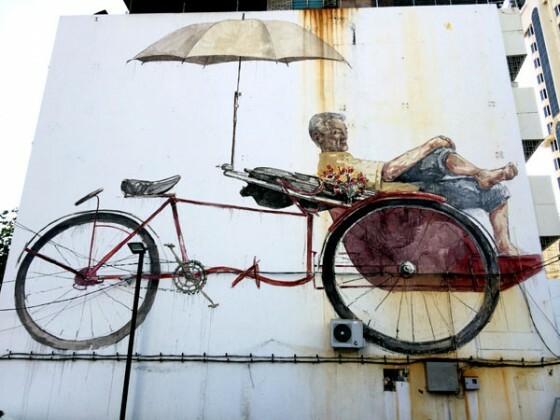 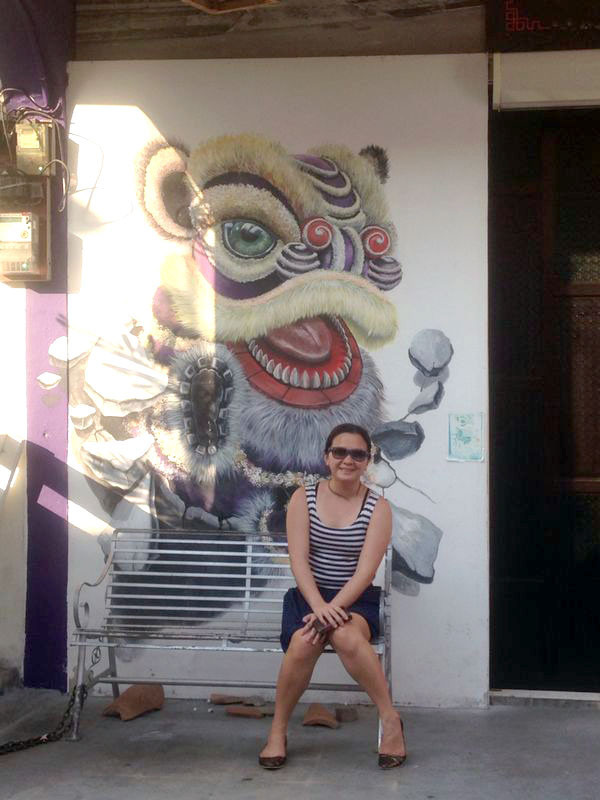 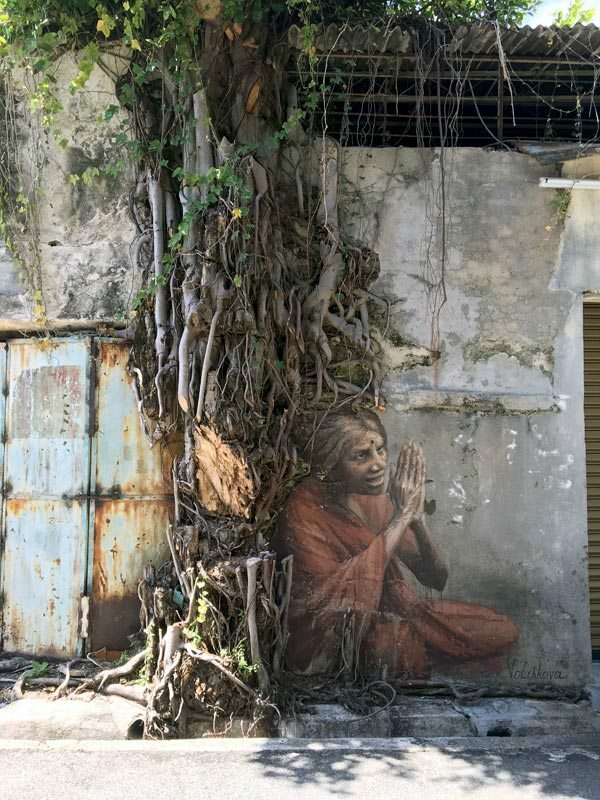 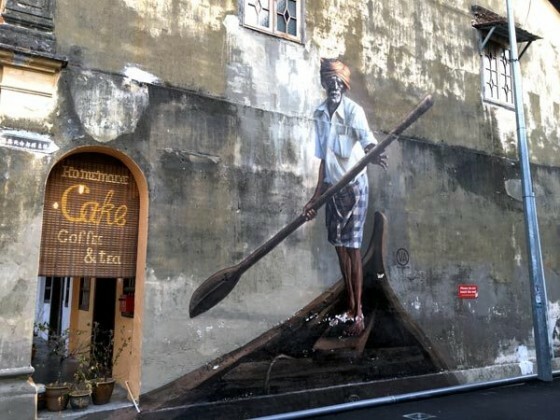 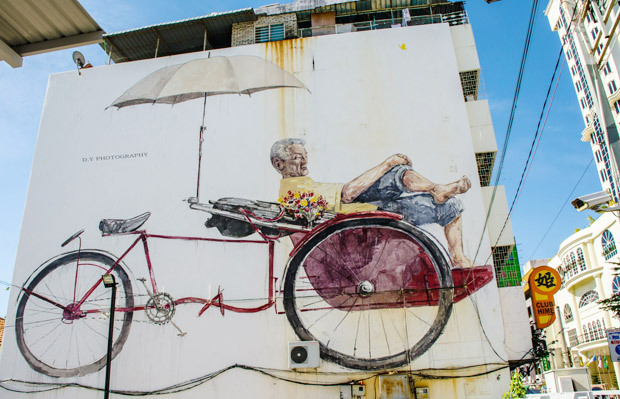 Penang street art — Wonderful street art painting in George Town of Penang - Living + Nomads – Travel tips, Guides, News & Information! 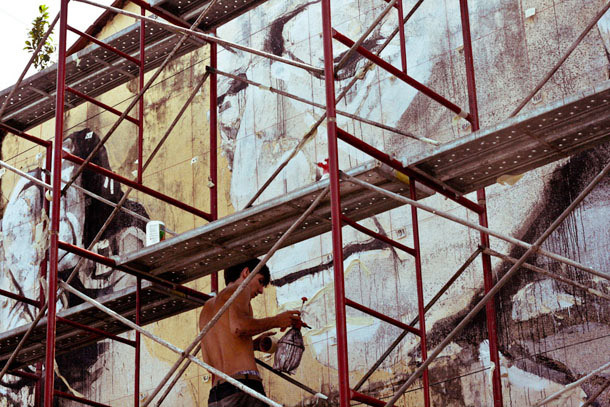 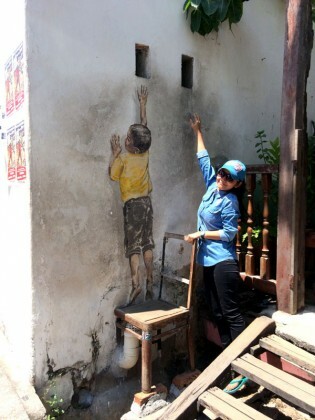 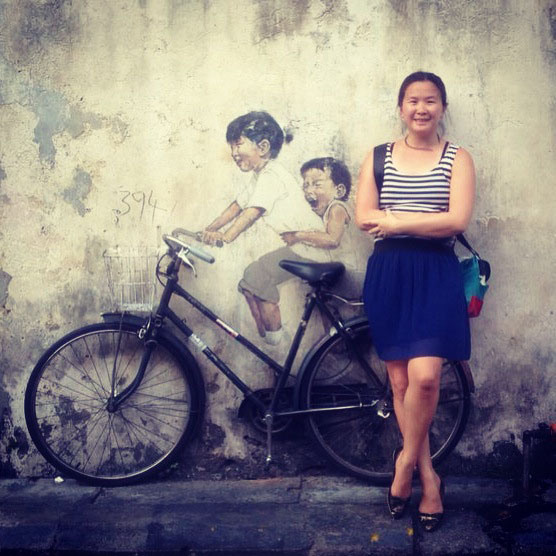 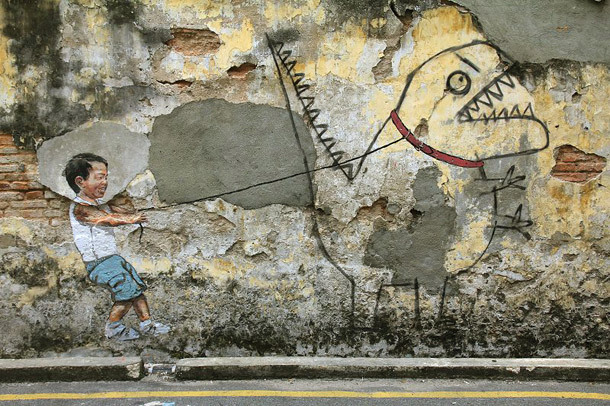 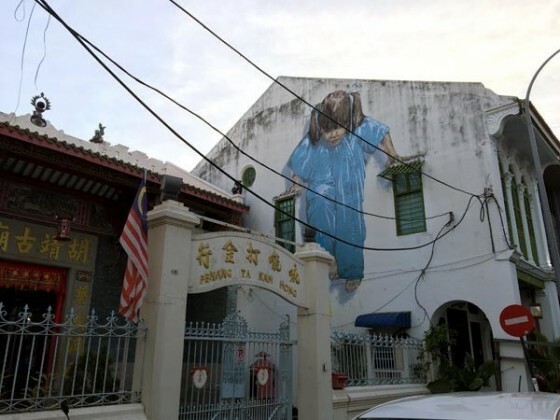 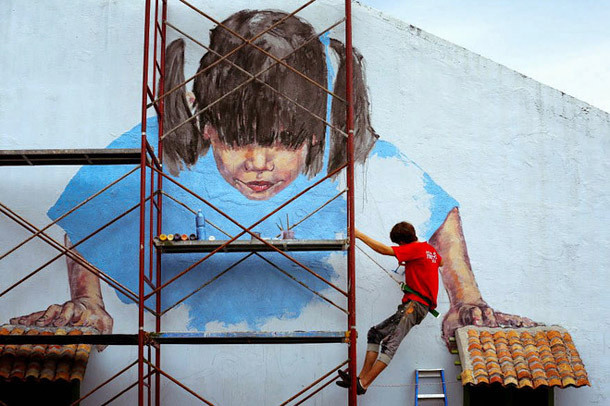 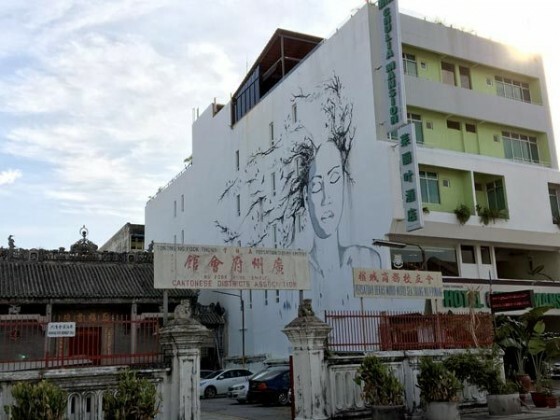 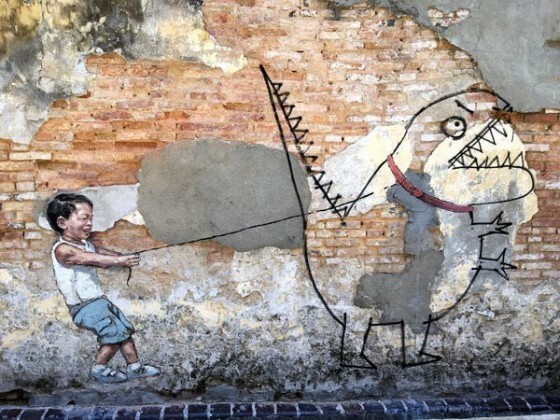 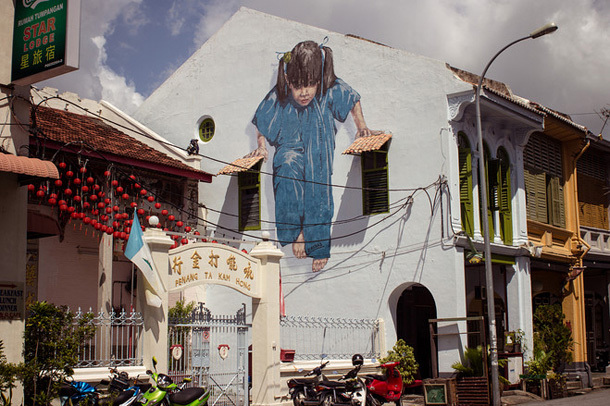 In conjuction with Penang’s Georgetown Festival, certain old walls within our dear capital has gained a new lease of life, thanks to the awesome efforts of Lithuanian artist, Ernest Zacharevic, Penang Street Art artist. 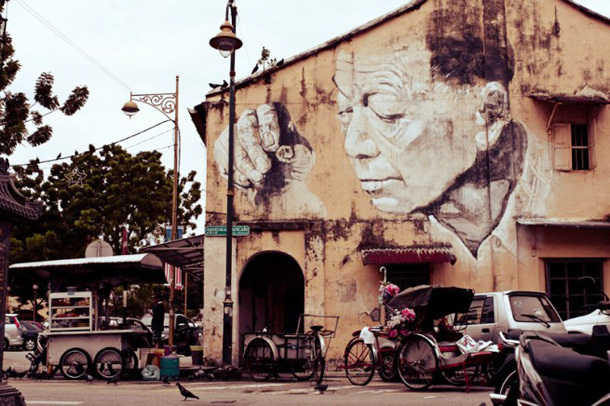 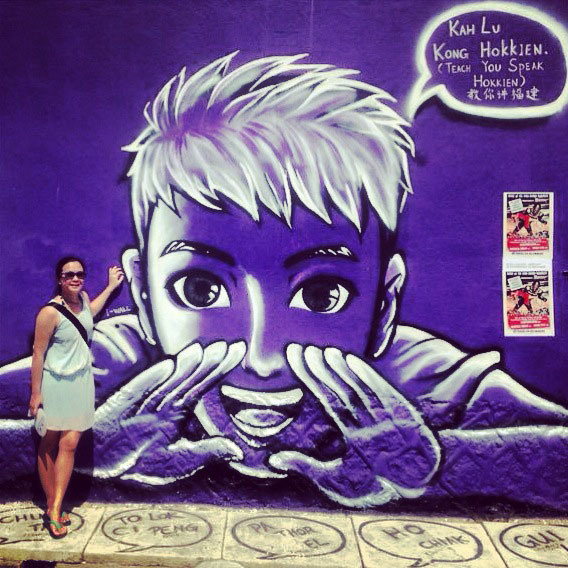 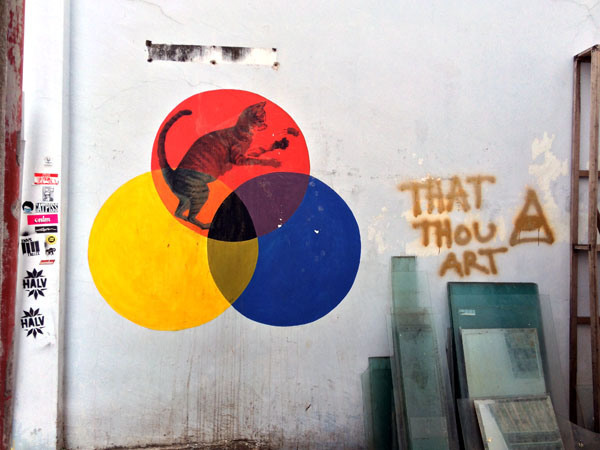 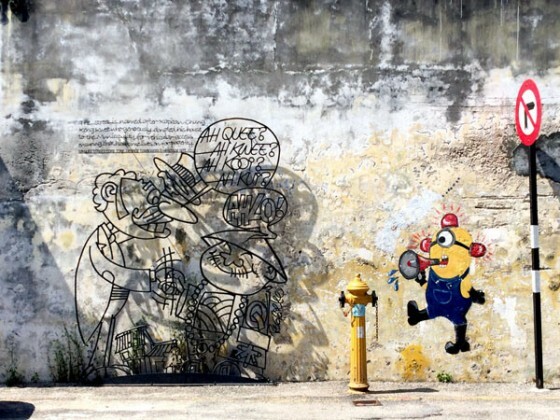 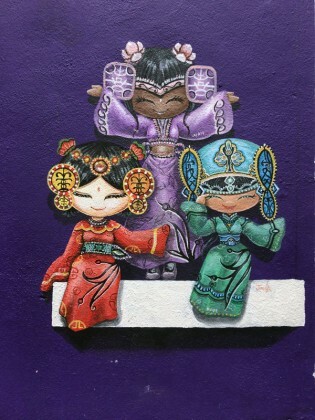 The street art in Penang can be classified into several categories below. 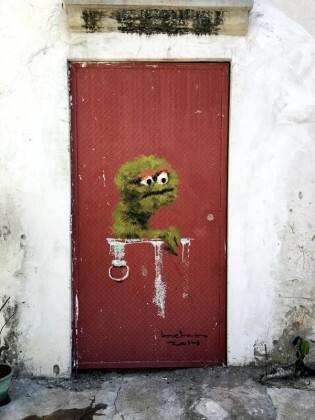 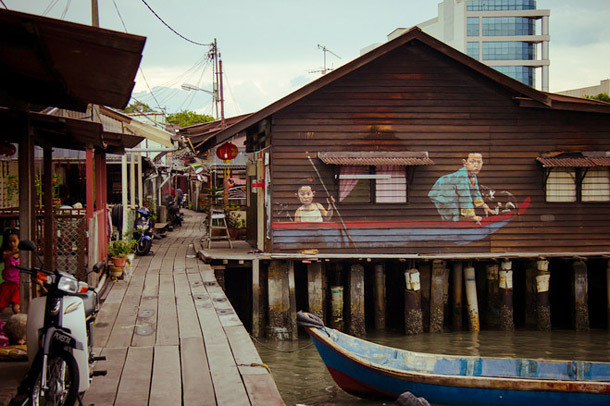 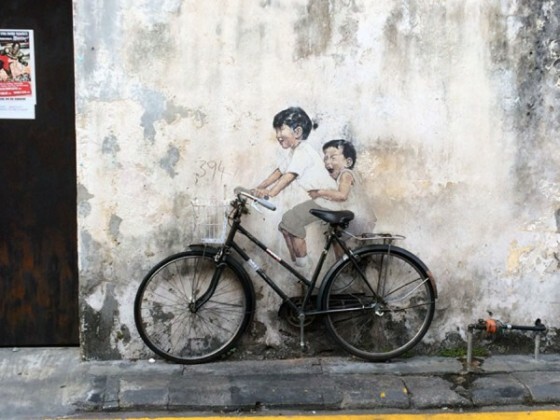 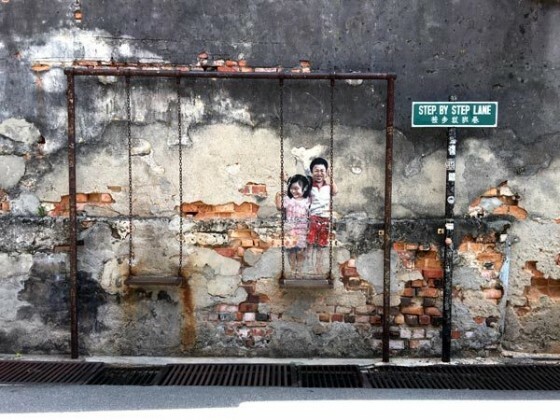 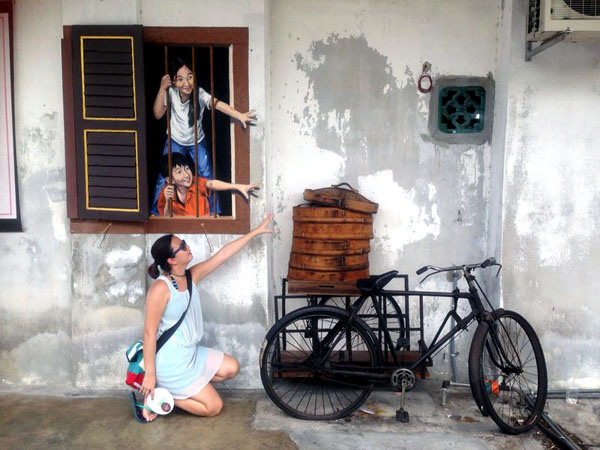 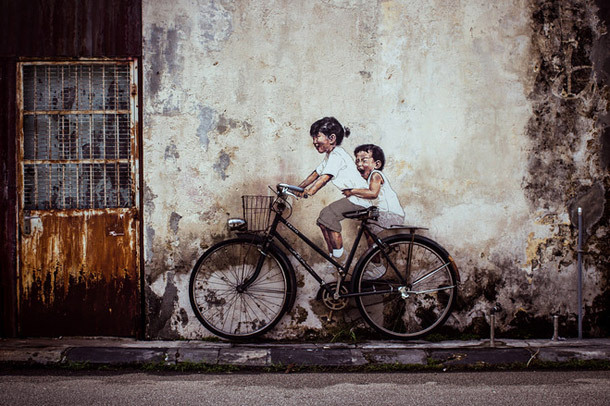 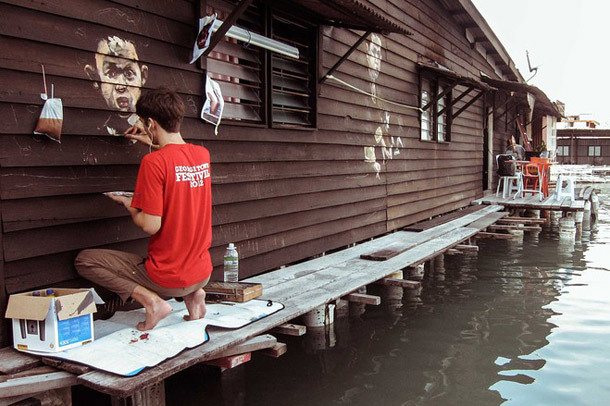 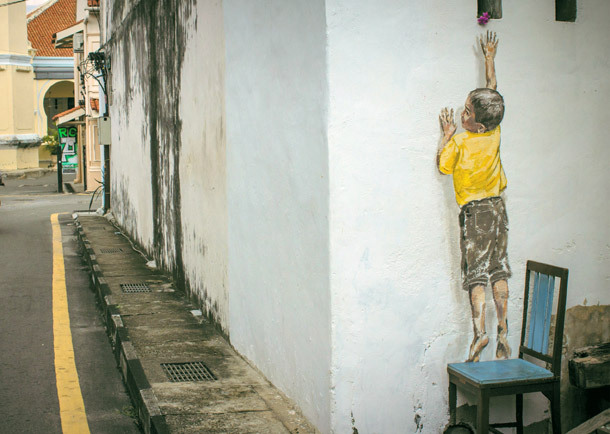 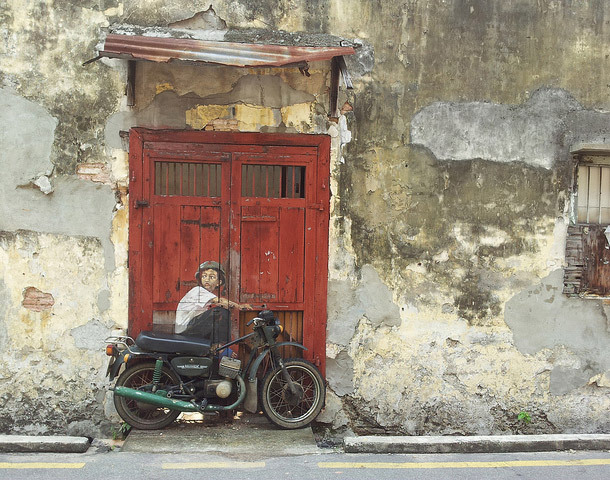 Ernest Zacharevic works: This Lithuanian artist is probably the reason why street art became such a big deal to Penang in the first place, after his commissioned work ‘Mirrors George Town’ for the George Town Festival back in 2012 became a big hit. 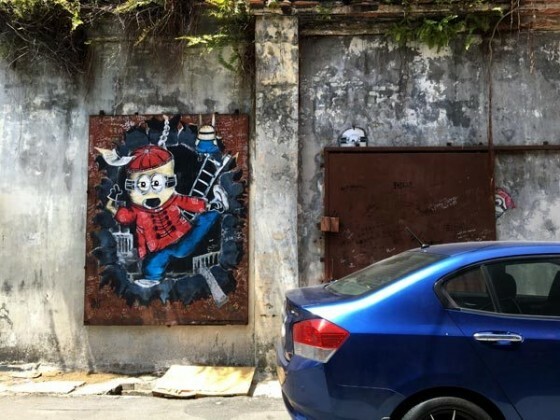 His works are by far the most popular out of all the street art we saw, with queues forming to take pictures with these works and appearing on souvenirs quite prominently. 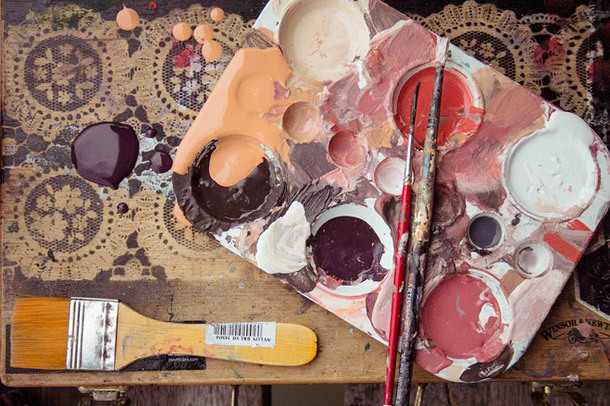 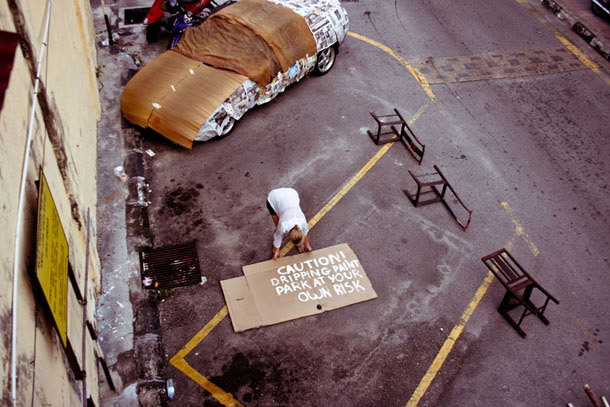 He recently had a solo exhibition in early 2014 titled Art is Rubbish is Art, and now has works that can be found in various part of Malaysia, Singapore and Europe. 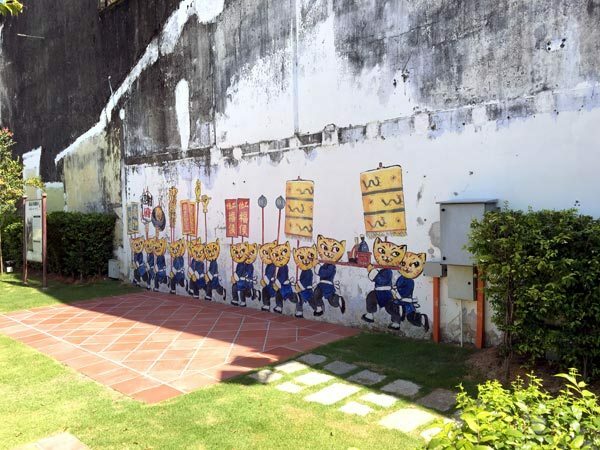 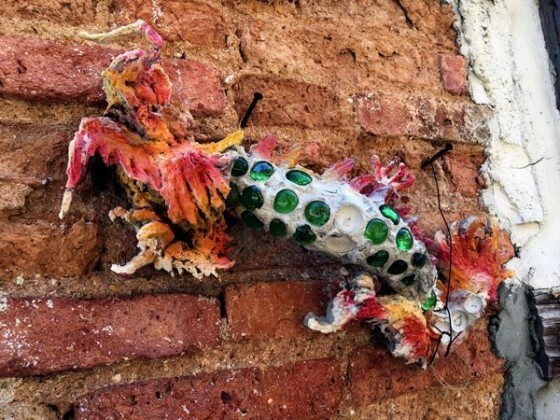 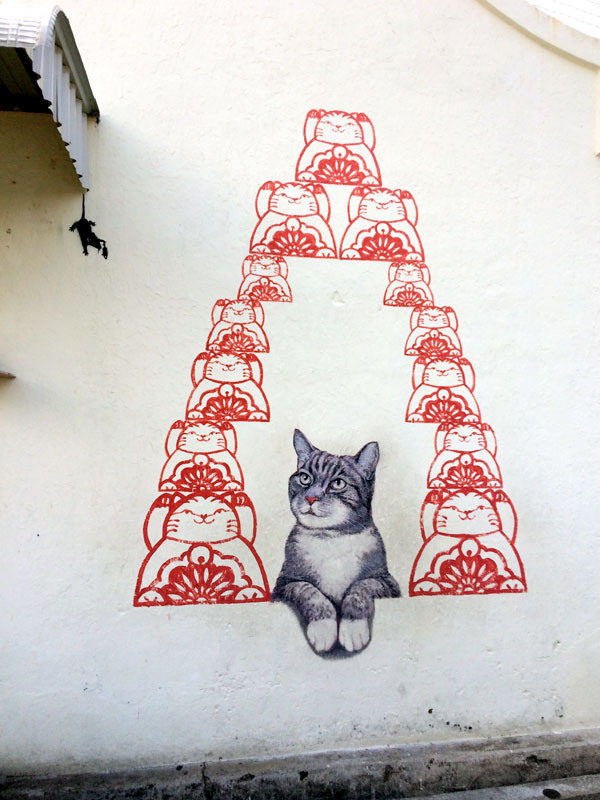 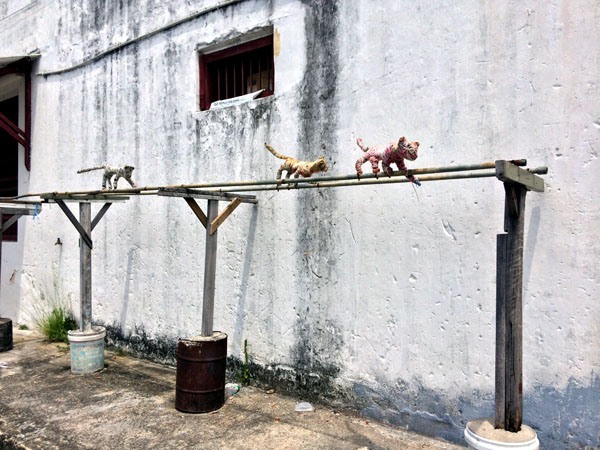 101 Lost Kittens: This collection of 12 cat-related street artworks is a project by Thai artist Natthapon Muangkliang and Malaysian artists Louise Low and Tang Yeok Khang aimed at creating awareness towards stray animals. 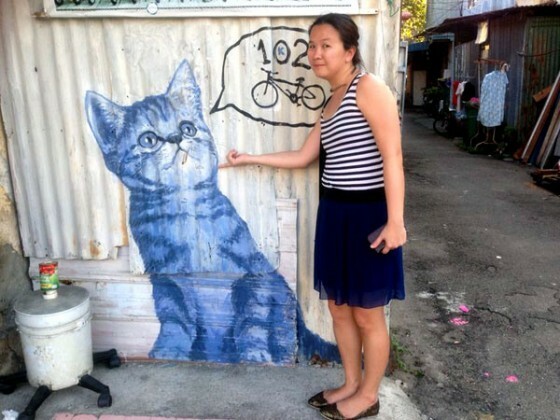 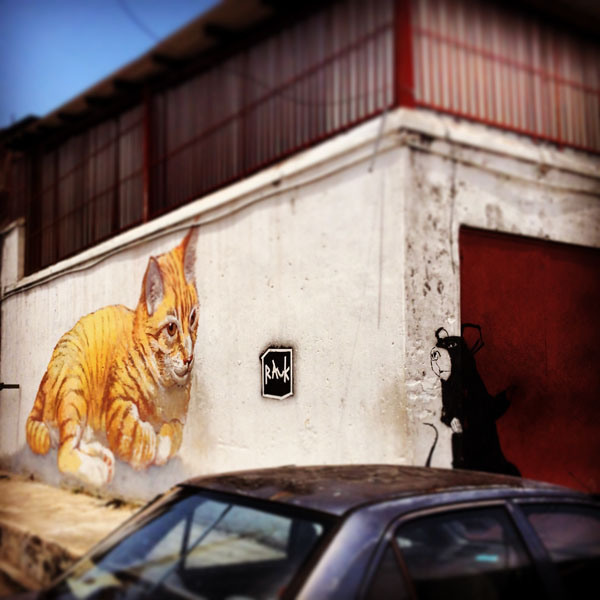 Here’s a quite detailed blogpost about where you can find all the 101 Lost Kittens artworks. 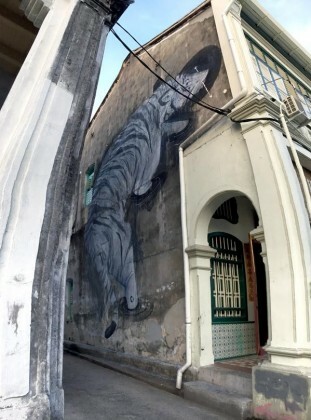 Urban Exchange 2014 and 2015: Creative space Hin Bus Depot and Urban Nation organizes an annual urban arts festival that invites both local Malaysian and prominent overseas street arts to Penang to transform the buildings with murals and street art. 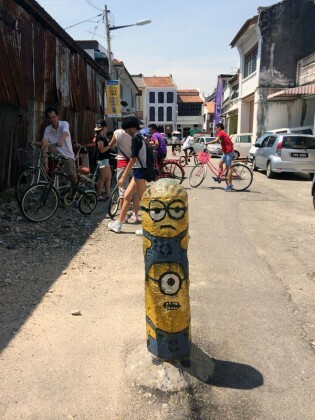 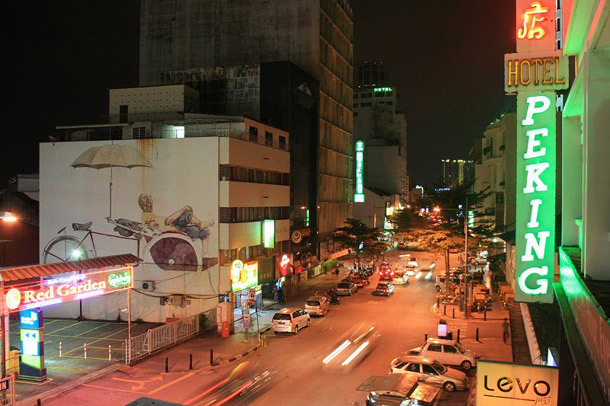 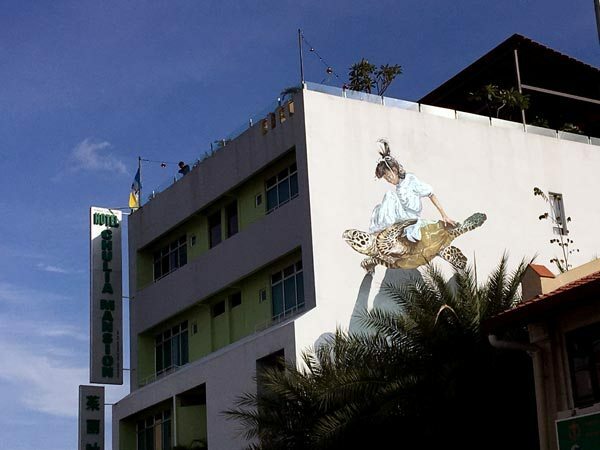 Beyond murals, it also brings together contemporary art and outdoor art installations to the streets of Penang. 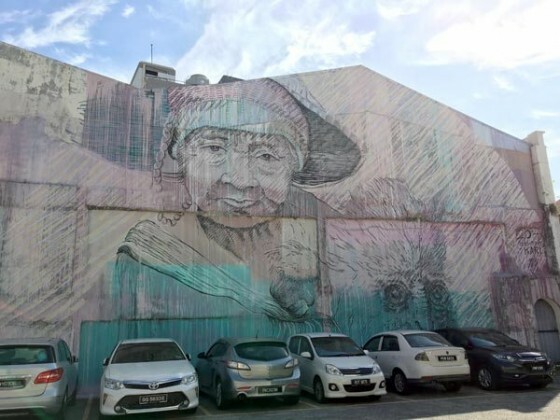 Others: There are many different street artworks besides those listed above, some by random artists and others commissioned by the local tenants. I tried my best to find out info about these artists and credit them accordingly here, but if you do have updates, please let me know! 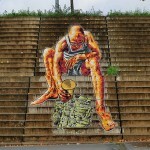 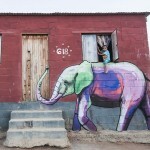 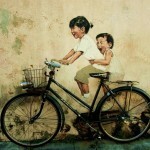 *Remember that street art is transient and ever-changing and We might have overlooked some spots! 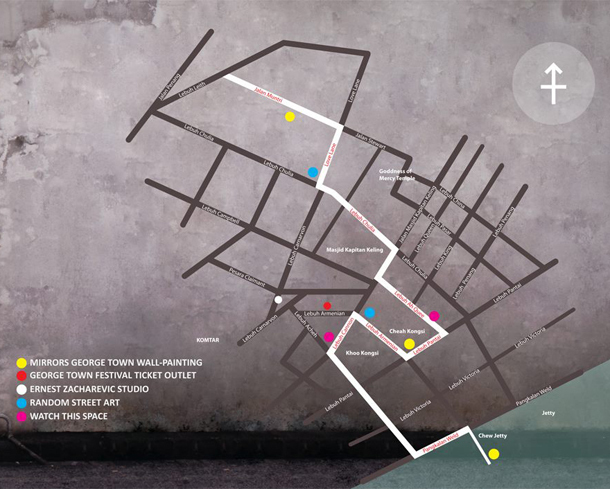 Whew if you covered all that, that is a lot of walking indeed! 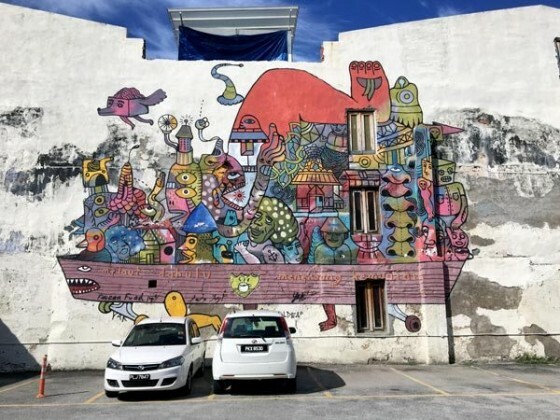 Stay tuned for the guide to street art outside of the core George Town area – we’ll be exploring outer areas like the south-western Balik Pulau, and even across to mainland Penang! 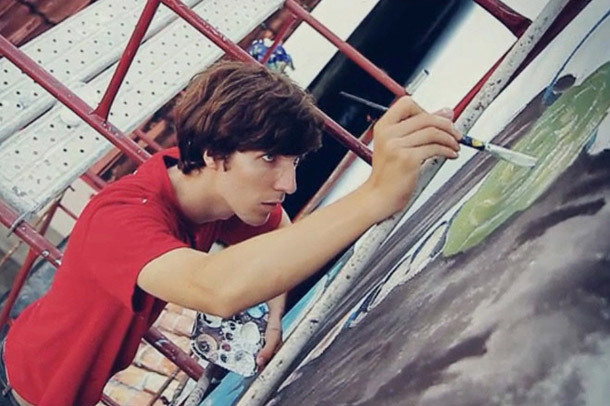 If you have any additions or corrections, do drop me a comment or an email please! 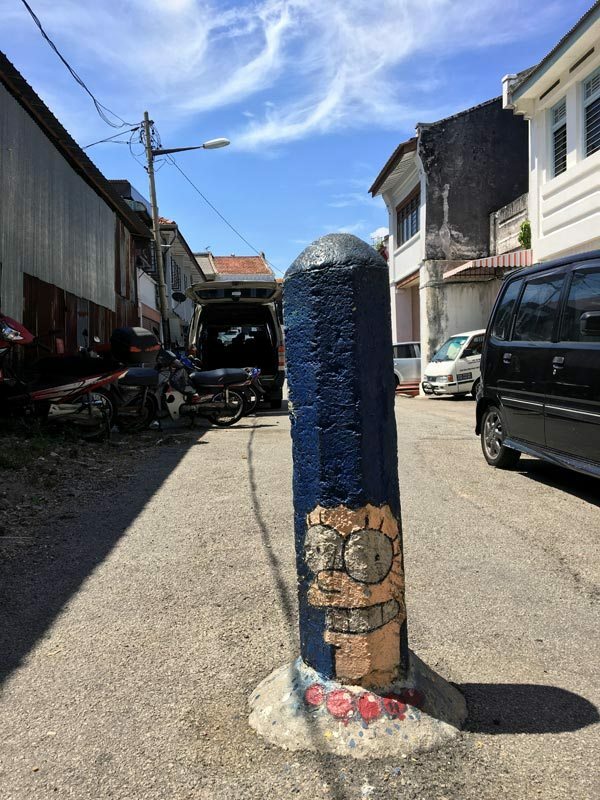 We created this guide based on my own experiences and research, so we may have missed out some things or gotten locations wonky, so do help me make this guide better! 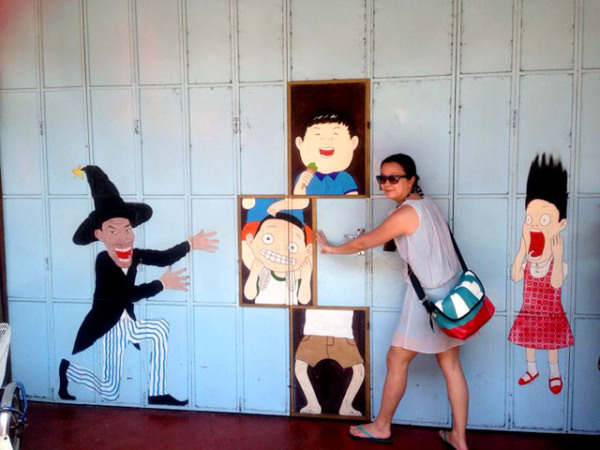 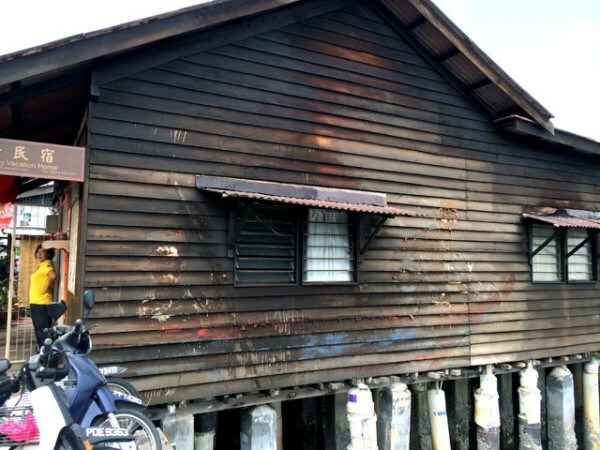 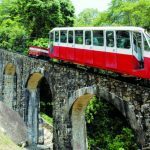 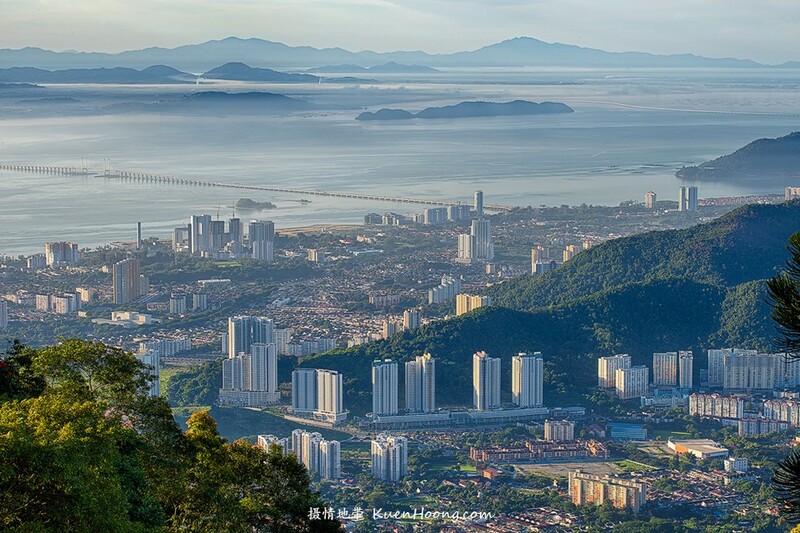 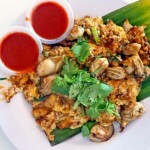 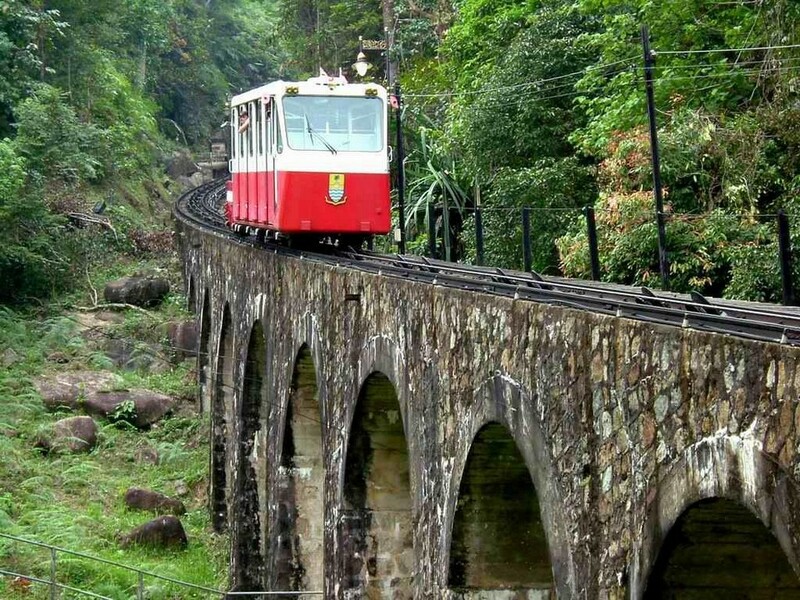 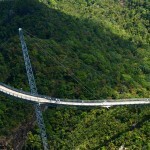 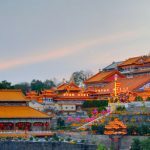 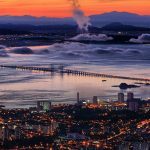 Are you looking for more top things to do in Penang: Tours, activities, attractions and other things? 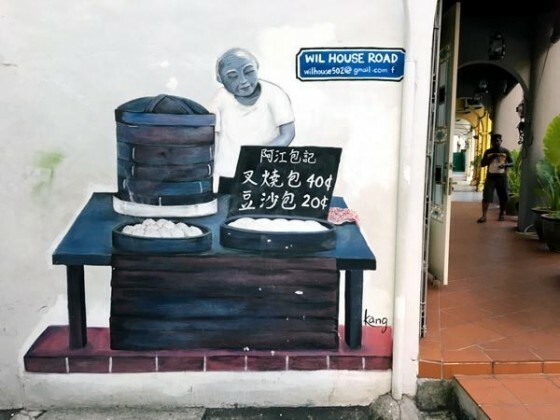 Let’s check it out at here.